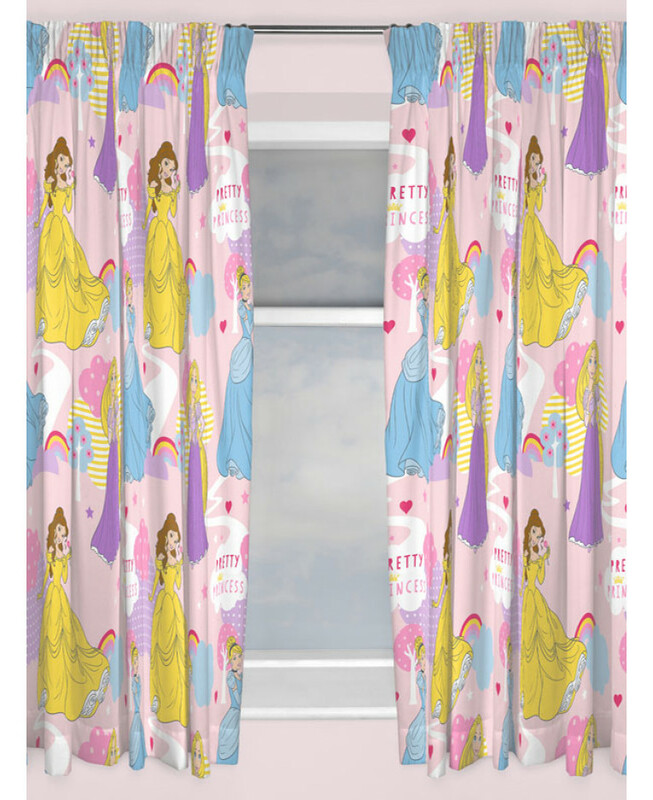 Snap up these brand new Disney Princess Dreams Curtains to finish off your Princess themed room. 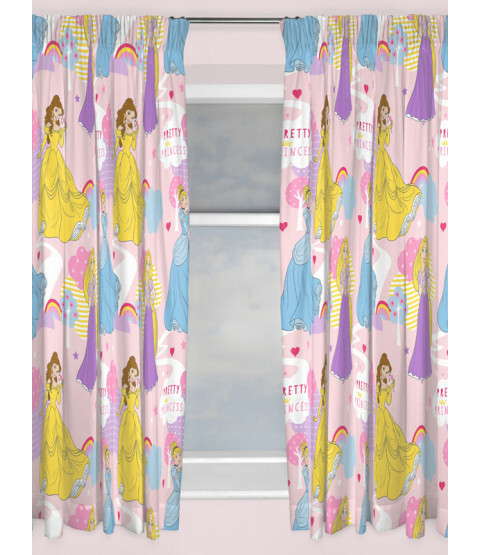 The design features Belle, Rapunzel and Cinderella on a pretty pink background accented by rainbows and multi-coloured trees. The curtains can be easily machine washed and tumble dried on a low setting.